Spring is here! Everyone is gearing up for warmer weather, March Madness and backyard barbecues. ?? Spring has snuck up and there's still a lot of planning and preparation you can tackle to make sure your family is ready to get outside. Check out these 5 home march maintenance tasks you can accomplish this month. Clean the Gutters - Although we didn't see a lot of cold weather this winter season, it did have its fair share of storms and high winds. Because of this, your gutters are most likely currently filled to the brim with leaves, pine needles, and other debris. Springtime always brings about heavy rain showers, which is bad news if you haven't cleaned the gutters out. Make sure you take care of this so that your gutters don't get clogged and overflow. Prep the Yard - Winter temperatures and weather conditions always take a toll on your lawns and gardens. Take these next couple of weeks to slowly work on bringing life back to your yard by cleaning up branches, leaves, and stones that have been dispersed upon your landscape. 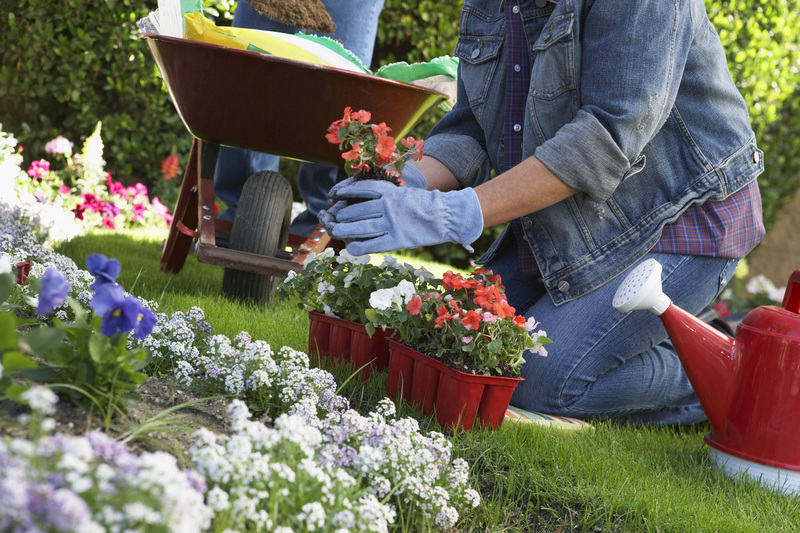 Afterward, you can prepare your yard for planting by mowing and laying down fresh soil. Inspect the Roof - Your roof is another victim of poor winter weather conditions that you may want to check on before spring arrives. If any shingles are loose, worn or missing then it could result in leaks from spring showers that can cause major damage. Call a professional inspector if you have to because it could save you a lot of money in the long run. Clean the A/C - It's always a smart move to switch out your A/C filter when the weather transitions to warmer conditions. This can save you money and keep your system functioning properly. This maintenance check up will also ensure that your house is ready to adjust to the warmer weather. Repair Outdoor Fixtures -Do a walkthrough with your walkways and driveways to see if there's any cracks or divots that need to be filled and fixed up. Cold weather can sometimes break apart stone and concrete, so it would be wise to eliminate the risk of any injury or property damage stemming from this issue. Before putting these helpful tips to good use, make sure that all of your insurance needs are up-to-date. Give us a call to have an agent review your policy to confirm that your auto insurance has the right amount of coverage for your family and your needs. We can also ensure that you are getting the best rate for your policy. You might even qualify for additional discounts, especially if you have your home insured through us! At Al Boenker Insurance, "We got you covered." Why an Al Boenker Insurance Agent?